Bucky Ist Über-Nerder. What I wouldn't give to ride these escalators! International expos are unique in their ability to create what feels like another world, separate from the city, country and even time in which they're built. The US Pavilion at Expo '67 in Montreal was a remarkable structure and experience, drawing 9 million visitors. With origins dating back to 1798, World's Fairs and Expos give nations, religions and corporations a grand, international forum in which to put their best foot forward. The infrastructure created for these massive-scale events reshaped cities. The pavilions heralded the emergence of novel architectural practices and showcased new technologies. They encapsulate the ideas, dreams and ethos of their eras. Expos have given or introduced us to, for example, Ferris Wheels (Chicago 1893), The Eiffel Tower (Paris 1889), escalators, talking films and diesel engines (Paris 1900), The Palace of Fine Arts (San Francisco 1913), The Barcelona Chair (Barcelona 1929), ad infinitum. They leave behind many landmark buildings, museums, aquariums, etc. While they happen only sporadically, (there have been just 17 in the last 43 years), they continue to capture our imaginations. 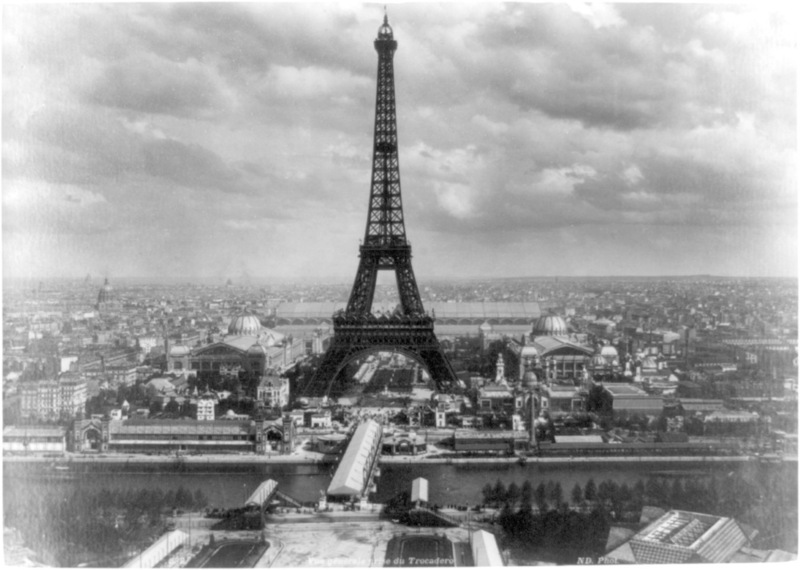 To give you an idea of scope, the 1900 Exposition Universelle in Paris drew 50 million people. Similarly. there were over 50 million visitors to Expo '67 in Montreal, more than doubling Canada's 20 million population at the time. Live TV and radio coverage broadcast to a worldwide audience of over 700 million. The master plan budget for the city ballooned to almost $500 million. Link. Published on July 17, 2013 by Michael Turri. A public outreach by some lonely atomic data storage researchers at IBM, this is an extremely expensive art project whereby atoms are used as "pixels" in a 250-frame short. A playful effort driven by enormously powerful technology. The interference patterns are just beautiful. I actually wish an artist had done something more abstract around that...Hey! That's a good idea! The "making of" this video, however, is the really interesting part. Link. Published on May 02, 2013 by Michael Turri. Read full post. Published on February 03, 2013 by Michael Turri.